Location-sharing services are gradually becoming mainstream, overcoming both the novelty and creepiness factor that had many declaring them to be fads not so long ago. 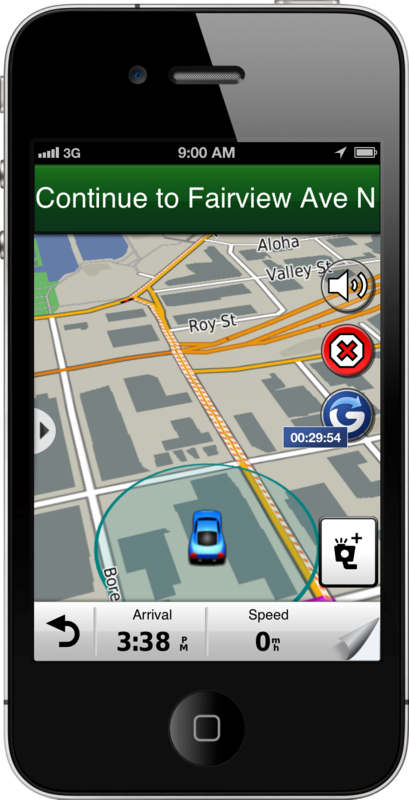 Case in point: Garmin, that household name in the in-car navigation field, is integrating Foursquare and Glympse into its StreetPilot for iPhone app and Navigon iPhone and Android apps. The Foursquare integration lets users search for locations, find trending venues and look for any nearby deals being offered on the platform. You won’t need to be a Foursquare user to access this information, highlighting how the social elements of Foursquare pale in comparison to the importance of its location database (see also its reported talks with Apple, which we think would make a lot of sense). If you do log in to Foursquare though, you’ll be able to check in to venues and get personalized recommendations for places to go based on your previous activity on the service. Meanwhile, Glympse has always been designed to put everyday practicality over the cool factor of being to see where other people are. Its core feature is the ability to share your location with someone else for a limited time – perhaps if you’re meeting someone and want them to be able to see how far away you are, or if you’re lost and need guidance to your destination. Now users will be able to share their location from Garmin’s apps as they drive, allowing others to track their progress. Within StreetPilot and Navigon there will now be a Glympse icon in the sidebar. After tapping it, the user can select a recipient and choose how long to share their location for. That person will then be sent a link to a map by which they can use to follow your journey from any smartphone or computer. If you’ve ever been stuck in traffic on the way to an important meeting, dreading what the people waiting for you were thinking, you may well have wished for such a feature – if only to prove that yes, you really were in gridlock and not lounging around in bed late. In addition to these location-sharing features, today’s updates to Garmin’s iOS apps add iCloud support, allowing users to sync favorite locations across multiple devices. There’s also a 25% price reduction in place for the apps until 7 January 2013 – given that they can cost as much as $49.99 usually, it’s a good time to buy if you’ve been tempted to shell out. 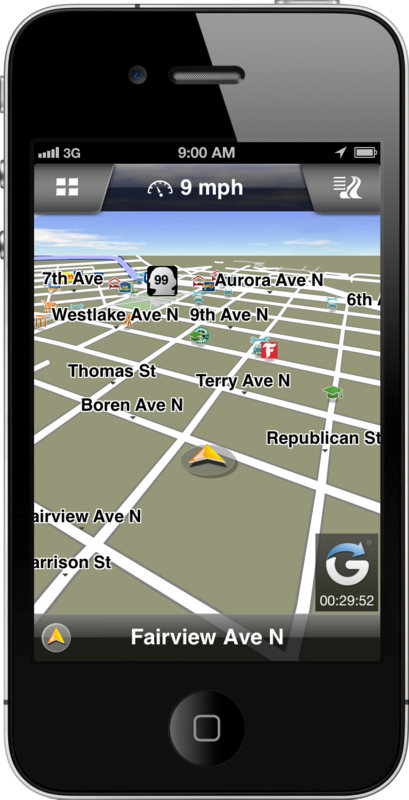 Garmin StreetPilot for iPhone is available for North America, the US, the UK & Ireland, and Western Europe. The updated Navigon apps for iOS and Android are available in a number of country-specific versions.